Keep a track of a project's due dates with the calendar. You'll find this on the Calendar tab of a project. 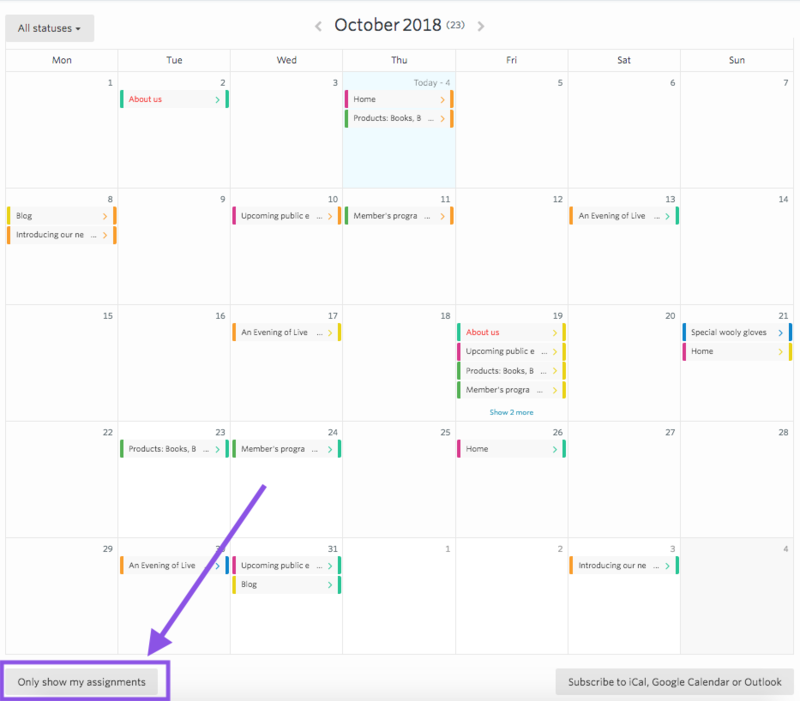 If you've set due dates for any items in your project, they'll show up on the calendar. You can find out how to set a due date here. 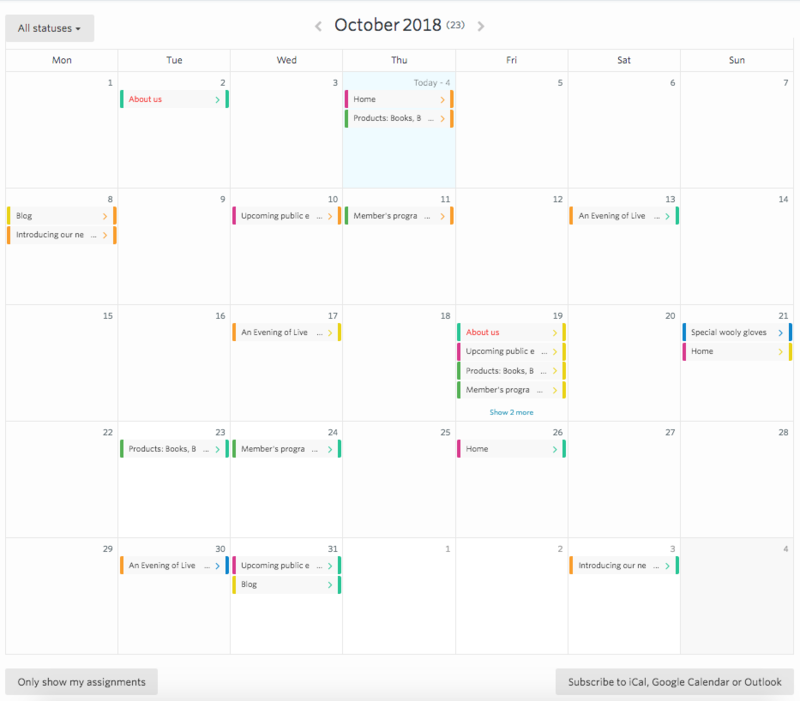 Each project has its own calendar, so you'll only see due dates that belong to the project calendar you're currently in. You can check which project you're in by looking at the project name at the top left of the screen. Any items that are overdue will have an 'Overdue' label, and appear in red. At the top left of the calendar you'll see a dropdown. 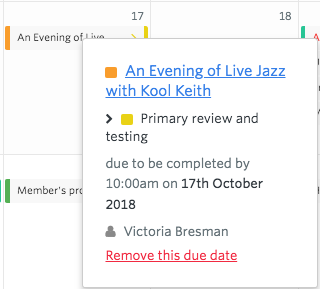 You can select any workflow status, to filter the calendar to show only the due dates for items moving to that status. To filter the calendar to show only items you're assigned to, click the 'Only show my assignments' button. 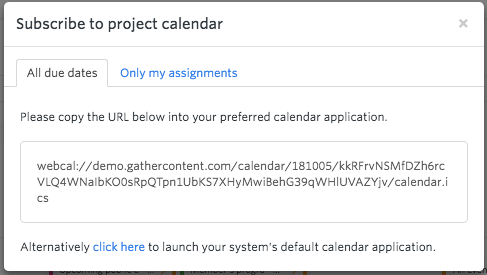 You're able to export a project's due dates to your personal calendar. Compatible calendars are iCal, Google Calendar or Outlook. Click the button at the bottom-right of the calendar to do this. You'll get the option to export all due dates, or just ones that apply to you.